Originally a classic horror movie, this remake stars Catherine Zeta-Jones at the height of her fame. Filled with laughable acting, poor scripts and low production values, this is film is all about a group of people who are locked in remote building overnight. Dealing with spirits, ghouls and all manner of creepy goings on, it’s better than the “House on Haunted Hill” remake, but not much better. 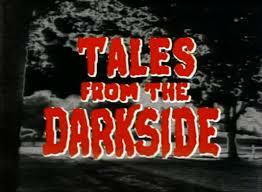 Remember “Tales from the Darkside?” Well, this is the movie, and it’s as ridiculous and cartoonish as the series. This one is fun, though—extremely fun. A series of spooky stories anthologized can’t be all bad, and this one shines. Story to watch for? The creepy cat tormenting a wheelchair-bound man. Go forth to Netflix and enjoy! You have to like them to root for them! One of the most important things about romance books is making sure that both the hero and heroine are likeable. It’s especially hard when it comes to the hero who has to be flawed but redeemable and extremely “oooh” worthy. The heroine can be angry, feisty, or even a tomboy—but she has to be the kind of girl readers would love to be. A fateful meeting early in the book introduces the hero and heroine. The earlier the better, so readers know who’s who and how they want things to pan out. Remember, readers want to be the heroine and fall in love with the hero. They have to come to know them in order to put themselves in the position of the characters. Love overcomes all! A barrier or problem has to keep the hero and heroine from everlasting love to begin with. Maybe that’s another person, a dying parent, a problem, a fear or just pressure. The hero and heroine work best when they are fighting to overcome their problems to be together. A lack of barriers for characters to overcome can leave readers feeling bored. Release the tension! Romance books really work best when the tension is released slowly—that keeps readers turning pages to find out when things happen. A tension-addicted reader is a very happy reader. Happy-ever-after! The romance of the two main characters has to come to a happy conclusion. The couple must get together by the end of the book (or series), and they must love each other above all else. This is the law of the romance novel. Wherever you go, whether it be the mall, work, or a walk in the park, you will hear conversations. Sometimes people say the most astounding things—and sometimes you get the kernel of an idea from the things that people say. I wouldn’t actively go around listening to people—but if you do hear something interesting, it may well turn into a great story. I would say the most popular place for inspiration is the works of others. Don’t steal from them, but be inspired by the greatness of other writers. Look at the sentence structure, the expressions they use, and try to read all kinds of books—you may just turn a page and become inspired to do great things. The fun magazines aren’t always that inspiring—but sometimes you can find great writing within a magazine—or a story. Sometimes you can read an interview and be inspired. Sometimes fashion can inspire a story. Give it a try! Sometimes you will be watching a movie and a character will say something that will create a chain reaction in your brain that can turn into a story. Keep your ears open and your brain ready for inspiration from the movies. Just like movies, music can be just the same—from the Beatles to Mozart, there is inspiration to be found. When you put the earbuds in, don’t let the inspiration slip out. Whether you are talking over the phone, via Facebook or just having a beer with your friends, you can find inspiration. You can stir up ideas, bring old ideas to life and breathe life into stories in ways you may never have imagined. Writing groups have always been a great way to find inspiration, motivation and to bring energy to your writing. Look around, find a writing group, and see what you can make happen. Use a comma between items that are listed in a series, which contain three or more words or clauses. Example: We went to a movie, ate dinner and then went to a party. Example: I bought a chocolate cake, strawberry pie and some ice cream for the party. Use a comma when quoting the words of others. Example: “Don’t hit your sister,” my mother warned. Use a comma when writing dates and addresses. Example: My address is 1234 Fake Lane Drive, Chula Vista, CA 91910. Example: We are going to Ireland on May 25, 2012. Example: Despite the fact that we haven’t spoken in weeks, I still sent Heather a gift for her birthday. Example: After washing my hands, I cut the cake. 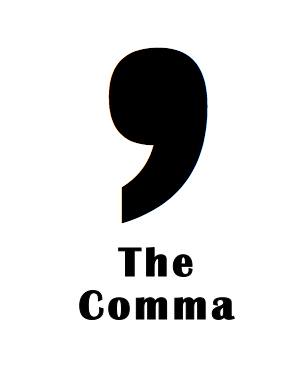 Use a comma before a coordinating conjunction when it joins two independent clauses. Coordinating conjunctions include for, and, nor, but, or, yet, and so. Remember, independent clauses are two complete sentences. Example: The weather was rainy, and it was very cold. Example: The girls overslept, so they did not go to school. Use a comma after a subordinate/dependent clause when it begins a sentence. Subordinate/dependent clauses begin with words like if, because, after, when, as, while, since, even though, although, before, and whenever. Use a comma to set off an adjective clause if it is not essential to the meaning of the sentence. Adjective clauses usually start with words like that, which or who. Example: My uncle, who lives in Santa Barbara, loves to surf. Example: The college, which is in El Cajon, is very nice. Use a common when using conjunctive adverbs. Conjunctive adverbs are words like however, on the other hand, although, nevertheless, consequently, therefore, especially, moreover, and for example . Example: The Chargers looked like they were going to make it to the Super Bowl, however, I decided to root for the Cowboys. Example: I decided to ask for a raise and, consequently, I was fired. Use a comma to break up the flow of a sentence. Example: Michelle, clean up your room! Example: The entire congregation, known for their generous giving, donated money to build a new parking lot. Use a comma to set off an appositive word or phrase that is used to describe or identify another noun. Example: That was the best day of my life, the day when my daughter was born. (“Day” is repeated and is described further after the comma). Hook readers with a strong first chapter. Give the character a strong central goal. Obstruct the character’s goal with equally strong opposition. Craft a strong plot with proper structure. Do your research and get your facts straight. Balance action and character with properly structured scene/sequel pairings. Create original and entertaining voices for narrating characters. Tighten descriptions with more strong verbs and nouns and fewer modifiers. Show more than you tell. Dig deep for original ideas and turns of phrase. Properly foreshadow your climax—without giving away any big reveals. Build realistic and engaging settings. Create a dynamic arc of growth for your character. Add interesting minor characters who can power the plot forward. Choose the right tone to enhance your plot and theme. 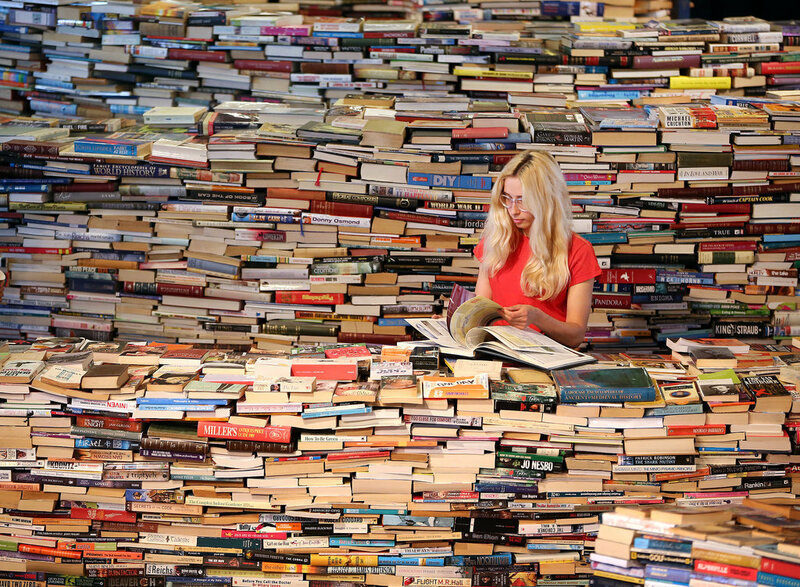 If you want to write about something you have no idea about—you should do some research. Try the library or Google and read about events, ideas, concepts and places. Learn and share what you’ve learned in your writing. It’s pretty simple, folks. You can explain this one in one simple word. Write. No ideas? Lack of creativity? Just write whatever comes into your head. Maybe you can set yourself a goal—how about 500 words in ten minutes? It doesn’t really matter. This is all about writing whatever comes into your head. This works best if you try not to edit as you go. Just let the writing inside of you flow. What do you want to tell your reader? List all the ideas and concepts you want to put to your reader, and as you write, take note of what you have on your list. 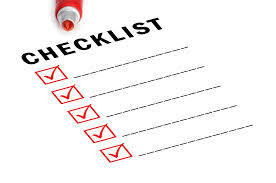 Perhaps you want to use certain words in this chapter—list them and refer back to your list. 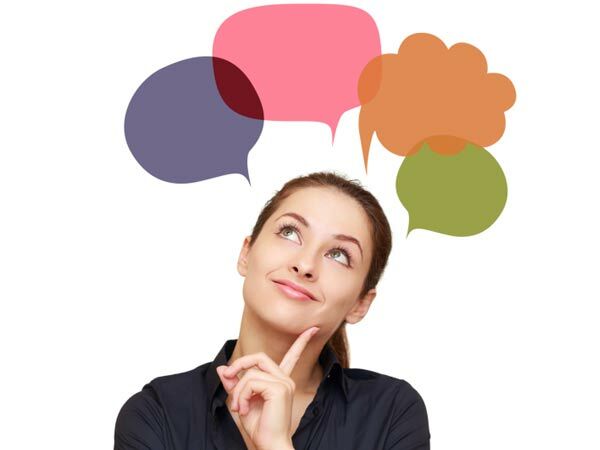 Questions, facts, comments and arguments are all good things to list and refer to. This basically boils down to jotting down ideas and making connections by associating certain themed ideas with color-coded circles or underlines of patterns and then indicating other relationships by linking with lines. When you’ve run out of ideas, this can bring untold value to your writing. You can make connections you never dreamed you’d make. Fearless, beautiful, loving and perfect in every way. Will there ever be an Augustus Waters in real life? Every girl wishes to meet someone like Augustus. Now, just deny that you wouldn’t be tempted by him? Come on… deny it! Straight-talking, smooth, arrogant scoundrel Rhett Butler makes it onto this list because he was such a scoundrel. No woman would be able to deny him in real life. It’s probably a good thing that he is fictional—he would break too many hearts. Ever meet a man more handsome of Edward Cullen? Handsome, passionate, watches you while you sleep… Who wouldn’t want Edward Cullen as a boyfriend? It took a long time—like ten years—but Odysseus made it back to his wife. Isn’t that like the most amazing kind of devotion and love? Where do you see that in real life today? That makes Odysseus a perfect book boyfriend.